Debt consolidation companies are a good option if you have difficulty managing your monthly payments and have credit cards with high interest rates. By consolidating all your outstanding balances, you end up with a single bill to pay each month, which typically has a lower monthly payment and a lower interest rate. Yet, you might end up making payments for a longer period of time, so you need to first consider the overall benefits that credit card debt consolidation offers. You may try consolidating your debts on your own if you have the knowledge, time and expertise to do it. Or, you can hire the services of one of a large number of debt consolidation companies that has established relationships with creditors and experience with rate negotiation. Finding the right debt consolidation company to help you manage your debt can be a bit tricky. Range of services and pricing varies from company to company. So you need to do your research and ask a lot of questions. In most cases, it's the not-so-obvious questions that can help you decide which company to hire. Following are some suggested questions to pose to each consolidation firm you are considering. Any company in business has to make money one way or another to stay in business. In the case of consolidation companies, inquire about any required fees for services or if the debt counselors work on commission. If the company works on a commission-based system, your representative may be more inclined to pressure you into accepting a deal, since he or she will financially benefit from it. Please see below for more information about fees. What percentage of prospects who contact the company end up signing on as a client? You don’t want a very high percentage, as an answer. Not everybody needs debt consolidation, so the company should be forthcoming and turn some people away because consolidation isn't in the prospects best interest. 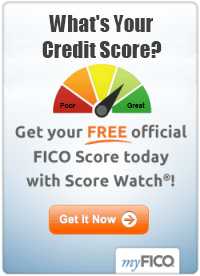 100% of your payments should be going to your creditors. Don’t work with companies that take a percentage or charge a "handling fee" every time you pay. Check the firm's rating with the Better Business Bureau and ask whether toe organization is a member of a reputable debt consolidation organization, such as the National Foundation for Credit Counseling (NFCC). Will your receive a written contract or agreement? You want to have a contract and it should specify everything you discuss, including fees, rights and obligations, how much money you’ll save, your new interest rate, and how payments will be distributed. Not all debt consolidation companies and programs work the same way. Some firms will take over and handle everything and just ask you to make the payments. Other debt consolidation companies offer credit education or financial planning help in the form of one-on-one consultations, workshops or at least printed material. Ideally, you want a company that can help you not only deal with your current debt problem, but also put you on track to deal with your financial issues for the long term. Personalized attention is also important. Always ask if you’ll be assigned to a particular counselor, rather than dealing with different people every time. If you always work with the same person, you’ll get more detailed, individualized attention, as that counselor will get to know you and your case. Be very specific when asking about the charges for services. The first consultation should always be free. Reputable companies don’t charge anything until they actually start working on your case. Then, typically you’ll be charged either a one-time set-up fee or a monthly fee, if you can’t afford the upfront payment. The set-up fees should be fixed – not based on how much you owe or how many creditors with which they have to deal. 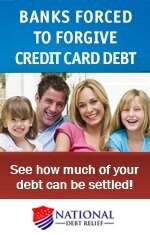 Using a debt consolidation company means giving up some of the control over your finances to somebody else. This is why it’s so important that you’re aware of your rights and don’t sign anything until you’ve done your homework and feel comfortable with your selection.